An Anglican gay bishop has married his partner surrounded by friends and family at a cathedral in Toronto. Bishop Kevin Robertson has married his partner Mohan Sharma at St James Cathedral in the Canadian city. I do: Bishop and his husband after the Toronto ceremony. Bishop Susan Bell of the Diocese of Niagara carried out the ceremony, which took place on 28 December. ……..as the last absolute monarchy in the West (and most anywhere else in the world), the organization of the Roman Church has become an anachronism. It made sense when monarchies were a fundamental feature of human society. But no longer. Last Wednesday marked the 50th anniversary of Humanae Vitae, Pope Paul VI’s encyclical known primarily for its novel ban on artificial contraception. In the subsequent decades since its promulgation, there have been few magisterial teachings as controversial and as rejected by as many faithful as this document. To mark the anniversary, Catholic publications have published a number of analyses about the encyclical and its ongoing impact (see National Catholic Reporter’s series here and Commonweal’s issue here). Theologians Michael Lawler and Todd Salzman have written a commentary which while not explicitly addressing LGBT issues is quite insightful and relevant to our discussions. I recommend reading the essay, which you can find here, in its entirety. We Are Church Ireland has claimed organizers of the upcoming World Meeting of Families are discriminating against the group because of its reform-minded views, including those about LGBT equality. We Are Church Ireland (WAC) said in a statement that it had yet to receive any reply about its application to exhibit at World Meeting of Families 2018 (WMF), which is scheduled for August 21st-25th in Dublin. New Zealand’s bishops have acknowledged the Church’s “shortcomings” in providing relevant pastoral care, especially when it comes to LGBT inclusion. Two booklets containing the personal stories and faith journeys of LGBT Catholics and their families are now available in electronic form, spreading the power of experience as a way to build inclusiveness and equality.The first booklet , entitled Being LGBT and Catholic, was published by the LGBT Catholics and Friends Ministry of the Church of St. Ignatius of Loyola, Manhattan. In 2015, a similar book was published by the Open Hearts LGBT Ministry at St. Patrick- St. Anthony Church in Hartford, Connecticut. For an electronic copy of each book, click their respetive titles here: Being LGBT and Catholic and Our Place at the Table. For ideas about how to develop LGBT ministry in a parish, visit our “Parish Life”webpage for a number of resources. 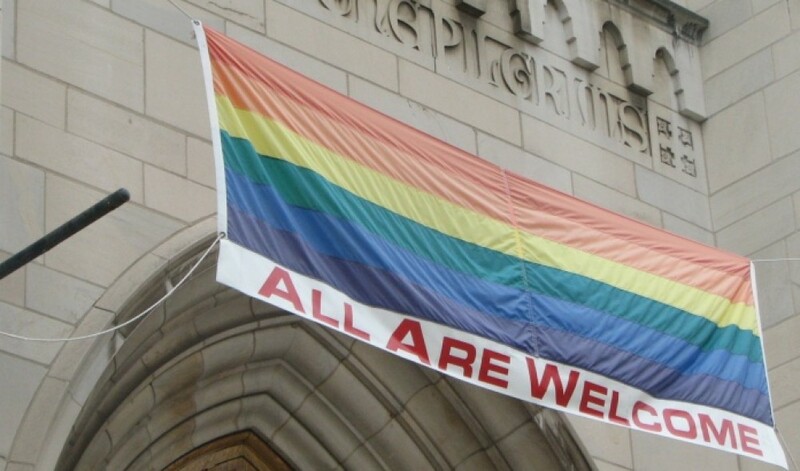 You can also look at our list of LGBT-friendly parishes and faith communities, too. We are delighted to announce that the University of Leeds is awarding an honorary degree to Bishop Christopher Senyonjo, and that a symposium will be held to celebrate this occasion. Rev. Senyonjo served the Church of Uganda as Bishop of the Diocese of West Buganda from 1974 till his retirement in 1998. He has been one of the few religious leaders in Uganda, and indeed in Africa, who actively supports members of the LGBT (lesbian, gay, bisexual and transgender) community and advocates for the recognition of their human rights, in a context of widespread social and political homo- and trans-phobia. The honorary degree will be awarded to Senyonjo during the graduation ceremony of the School of Philosophy, Religion and History of Science in the Faculty of Arts, Humanities and Cultures at the University of Leeds on 17 July 2018.